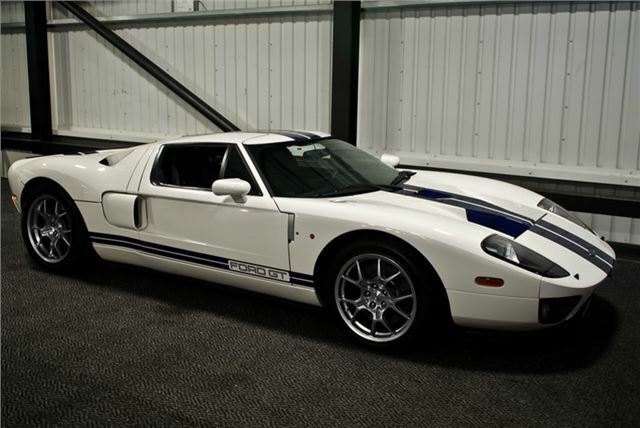 The Ford GT originally went on sale in 2003, and was in production for five years. It’s powered by a 5.4-litre V8, which produces around 550bhp. Performance is as impressive as you’d expect from a supercar – 0-60mph takes 3.3 seconds and top speed is over 200mph. It’s a modern reincarnation of the legendary Le Mans winning Ford GT40 of the 1960s. Just over 4,000 were made for sale worldwide. The car previously owned by Button has relatively few miles on the clock at 3,728, and has been well cared for. It’s priced at £129,995. Amongst the other cars being sold by the company are three Bugatti Veyrons, a Ferrari California, a selection of Range Rovers and a Rolls-Royce Phantom.